Meghna Naidu a telugu girl, born and bought up in Vijayawada. Modelling profession took her to Mumbai, where she happened to do Kaliyon Ka Chaman video. And with this songs she climb the ladders of popularity. She had done few films earlier in telugu, where she played the role of a nun and another one is a role of a leprosy affected women. Now she is into bollywood with her glamores roles. Meghna?s debut film is Karan Razdan?s Hawas in which she plays a wife who is tormented by the lack of passion in her married life and therefore goes into an extra marital relationship. Meghna?s second film will also be something of a similar kind. The movie titled Husn will have Meghna playing a shady character who becomes rich overnight by manipulating people by using her sexuality. She plays the wife of an aged man played by Gulshan Grover. Coincidentally, Husn will also star her Hawas co-star Shahwar Ali . 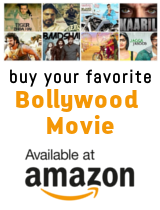 The movie is directed by Ajeet Sinha and is produced by Faraha Sultan Ahmed. Meghna, will sizzle in her maiden item number "Nasha Le Le Tu Dil" in Time Magnetics AK 47 directed by Raam Shetty. The sizzling number is to be choreographed by Ganesh Acharya. The voluptuous Meghna has donned up a dusky Arabic look in the number while rest of the dancers sport an Egyptian look. The song is sung by Sunidhi Chauhan and the music is composed by Sajid Wajid. Hawas director Karan Razdan who seems to have taken a liking to the Kaliyon Ka Chaman girl, have signed Meghna for his next movie Eight. The film will introduce newcomer Raj Tara in the lead opposite Meghna. The movie will also feature Padmini Kolhapure and Gulshan Grover. Eight will go on floors in June with a month-long schedule in London.